Scott Servais: "Somehow, we've managed to stay afloat through all the injuries, and hoping we get to the point where we're at around the .500 mark when you start getting everyone healthy. I think we've accomplished a lot to that point, to still be afloat." It will be a brand-new face on the mound for the Mariners on Thursday night, with right-hander Andrew Moore set to make his major-league debut as Seattle goes for a four-game series sweep of the Detroit Tigers. Come Friday night, a familiar figure will finally be back on the mound for the Mariners. 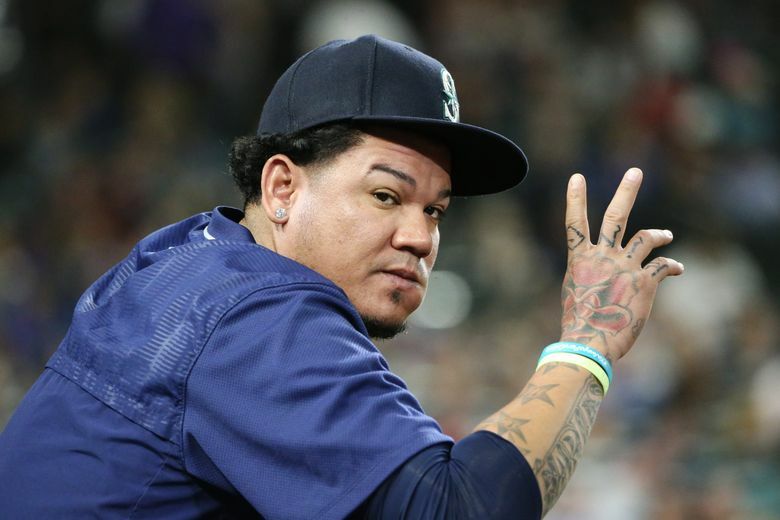 Felix Hernandez, on the disabled list since April 26 with bursitis in his right shoulder, is scheduled to start Friday’s series opener against the Houston Astros. That the Mariners (37-37) have climbed back to .500 with their rotation in shambles for much of the season is no small thing. There has been much debate — from former major leaguers to the know-it-alls on Twitter — about the etiquette of Jarrod Dyson’s bunt single that broke up Justin Verlander’s bid for a perfect game in the sixth inning Wednesday night. Mark DeRosa on @MLBNetwork : Dyson disrespected the game and Justin Verlander last night. Verlander, for his part, said he didn’t have a problem with the bunt. The Mariners trailed 4-0 going into the bottom of the sixth, and Dyson’s bunt single sparked the Mariners’ 7-5 comeback victory. Detroit manager Brad Ausmus said he didn’t have a problem with the bunt, either.